Last night’s episode of Supergirl featured the debut of Jon Cryer’s Lex Luthor, but fans hoping to see him go toe-to-toe with Tyler Hoechlin’s Superman will have to wait for quite a while. 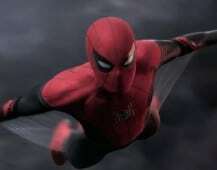 The wording indicates that Tyler Hoechlin’s Superman will return to the show at some point, but not in season four. The character was last seen in the Elseworlds crossover event, which also featured the debut of Grimm alum Elizabeth Tulloch as Lois Lane. 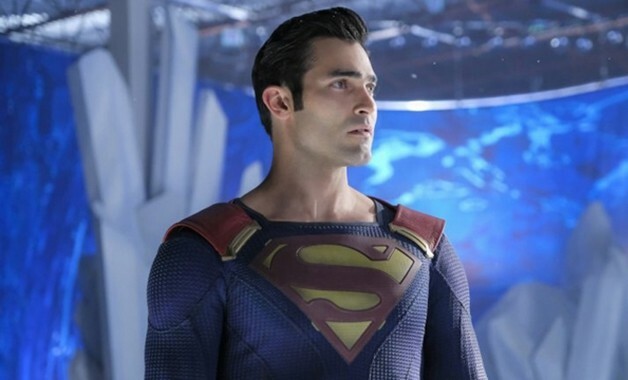 In the final installment of Elseworlds, Tyler Hoechlin’s Superman and Elizabeth Tulloch’s Lois Lane announced that they are expecting their first baby. The two then left Earth to go to Argo City, so that Lois could safely give birth under a red sun, which strips Kryptonians of their powers. What do you guys think? Are you disappointed that Tyler Hoechlin’s Superman won’t be back during season four? Sound-off your thoughts in the comments! LEX LUTHOR CONTINUES TO WREAK HAVOC — In the wake of Lex Luthor’s (guest star Jon Cryer) return, the show flashes back to what he’s been doing for the last two years and how his secret machinations and plans have affected Supergirl (Melissa Benoist) and Lena (Katie McGrath). Carl Seaton directed the episode written by Dana Horgan & Eric Carrasco (#416). Original airdate 3/24/2019. The fourth season of Supergirl stars Melissa Benoist as Kara Danvers / Supergirl, Mehcad Brooks as James Olsen / Guardian, Chyler Leigh as Alex Danvers, David Harewood as J’onn J’onzz / Martian Manhunter, Katie McGrath as Lena Luthor, Jesse Rath as Querl Dox / Brainiac 5, Sam Witwer as Agent Liberty, Nicole Maines as Nia Nal / Dreamer and April Parker Jones as Colonel Lauren Haley. Supergirl airs on Sunday nights at 8 P.M. ET on The CW.